GODORT also has an unofficial presence on Twitter and some members of GODORT have used their personal Facebook accounts to publicize GODORT events. 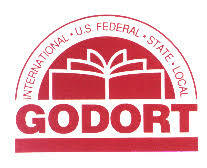 Further, since 1990, GODORT has used GOVDOC-L as a venue for information sharing even though GOVDOC-L is not formally affiliated with GODORT. The sudden and overlapping profusion of tools has caused confusion among members and needs to be resolved. We charge this committee to identify the range of GODORT communication, define appropriate roles for each of the tools above if appropriate for the purpose and to define a policy regarding member experiments that may make use of the GODORT identity. This project defines GODORT’s communications strategy. While it will bear some relationship to issues relevant to Publications, Development and Bylaws and Organization, it is a separate issue. A recommendation for a single location for placement of meeting agendas and minutes in time for use before Midwinter 2010 in Boston, MA to be voted upon by Steering prior to the conference. A schedule for implementation should content need to be moved, archived, etc. October 2009-July 2010, Annual Meeting in Washington, D.C. The existing rules on updating the Policies and Procedures Manual (PPM) inhibit ready updates and shared workload. As a result, the PPM is not updated often enough because all of the work typically becomes the responsibility of a single person. While not fully defined by the PPM, GODORT Web Managers are coordinated by the GODORT Website Administrator to provide a timely, uniform, consistent, and accurate presentation of online GODORT information for users. A group for those interested in government information (federal, state, local, and international). Various topics of interest include depository libraries, government information collections, open access, transparency, and preservation of government information, E-government, Government 2.0, and using social networks to collect and disseminate government information and more! This project's mission is to understand the scope of holdings of New Deal era docs nationwide, to understand the special needs of materials used and to collect data for future use.